A short film titled Written By? has bagged the Best Director award for Kankana Chakrabarty at the 6th Siliguri International Documentary and Short Film Festival and the Best Actress award at the Mumbai Shorts International Film Festival. These are just two of a string of awards the film is winning which prevents the director from placing it on a public viewing platform just yet. The film has bagged around 10 awards in India and abroad, bestowing Chakrabarty with Best Director and Best Actress kudos. The film has just two characters — a now out-of-work-but-once-famous screenwriter and director Kamalesh Roy (Sabyasachi Chakraborty) and his ambitious and optimistic intern Natasha Sen (Kankana Chakrabarty). On a rainy night, Natasha arrives at Kamalesh’s flat to finish the final edit of the script of his film. He is angry because she has arrived late, but she patiently explains the reason — issues of transport on a rainy night. What transpires during this brief meeting about a script Natasha has written based on the life story Kamalesh narrated to her makes for the story of the film. Is the idea for the film drawn from real-life experience? “The story is not directly based on any incident, but I have had friends who said, 'Oh, this film matches my idea… Oh, I was supposed to do that song… Oh, I wrote the article but now it has someone else’s name on it'," said Chakrabarty, who did her master's in acting from the New York Film Academy and is based in Los Angeles. ”Being a part of this industry, our biggest fear is that of copyright," she continued. "We are scared of sharing our stories with our peers. We are busy claiming whether it’s our story or whether someone stole it from us. 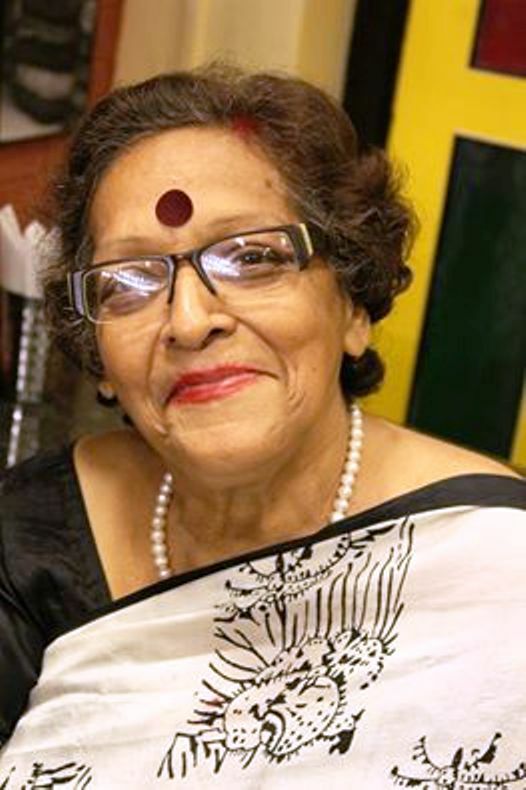 Chakrabarty made her first documentary called Women Prayed And Preyed Upon that mainly questions the irony that men pray to goddesses in India and prey upon women. Who really “owns” a piece of writing? The one who narrated the story or the one who wrote it, with or without interpolations, using his own facility for the language? Or the one who created the concept / idea for the story in the first place? These are tricky questions but are often raised in the field of cinema. Some scriptwriters/directors take the easy way out by using terms like “inspired by”, “tribute to” and “adapted from”, but the bottom line is the same: in some way, these can be accused of plagiarism. Many filmmakers and scriptwriters do not even bother to give credit to the original writer whose work they have made their film on. Ketan Mehta was taken to court by Dhiruben Patel, the original writer of Bhavni Bhavai (1980) in Gujarati because he had not given her credit. It was his directorial debut. But the film went on to win many National and international awards and is considered an iconic film in Indian cinema. How was the experience of working with a veteran actor for her first fictional film? “I was star-struck to begin with, but he put me in the comfort zone soon after we met," Kankana Chakrabarty said. "He did not even ask me who the director of the film was or who was going to be his co-actor. He agreed when I said the shooting would take just two days. But few filmmakers have ventured into the rather fragile field of plagiarism as the central subject. Within this ambience, it must have been a challenge for a new young filmmaker to make a film on plagiarism with a bold storyline. But that is exactly what the Los Angeles-based Chakrabarty has done. Plagiarism refers to the use of another's ideas, information, language or writing, without proper acknowledgment of the source. Essential to an act of plagiarism is an element of dishonesty in attempting to pass off the plagiarized work as original. Plagiarism is not necessarily the same as copyright infringement, which occurs when one violates copyright law. Like most terms from the area of intellectual property, plagiarism is a concept of the modern age and not really applicable to medieval or ancient works. The sound design of Written By? is very innovative and carries an impact, and so are the lighting and the cinematography. There is a wall clock that becomes a character as the story flows towards a dramatic climax and an upturned table lamp that keeps flickering till the end. The flickering of the lamp is actually a metaphor for Natasha — uncertain about her fragile relationship with her new-found boss Kamalesh and trying to decide how to take a decision about it. The pendulum and the wall clock represent the difference in how time plays a significant but different role in the lives of the two protagonists — an arrogant writer with a writer’s block who fails to accept his failure and a sprightly young woman who is dreaming and working towards a bright future as a filmmaker. The closure offers a twist and though it may be predictable for some, it is treated very well cinematically and editorially. Written By? 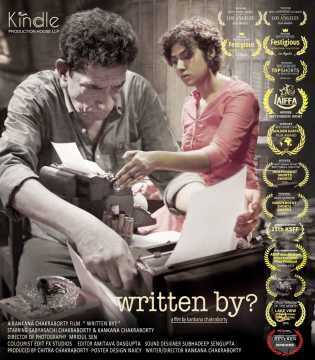 marks a very good debut for Kankana Chakrabarty in fiction filmmaking.